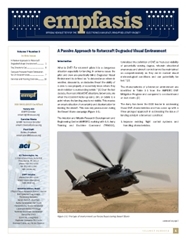 Empfasis is a publication of ACI Technologies Inc. and the EMPF. The EMPF is the U.S. Navy’s National Center of Excellence dedicated to advancing the state-of-the-art in electronics and increasing domestic productivity in electronics manufacturing. Our efforts in the field of electronics manufacturing, analytical services, and our work with government and industry, yield the knowledge that we present to you here. To access this exclusive issue of Empfasis, simply click "Add to Cart" and then "Check Out Now". If you have an account with us, simply login to complete the download. If you do not currently have an account with us, a one time registration is required to acces this download.